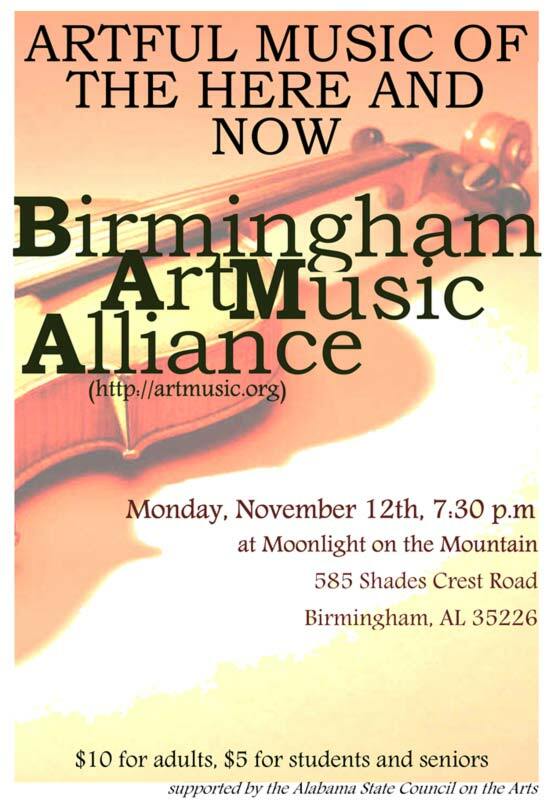 My piece “un_Learn” for e-cello and soundfile will be performed on Monday, November, 12, 2012 at 7:30pm at Moonlight on the Mountain. This piece was featured on WBHM‘s show “Tapestry” when Criag Hultgren was a featured artist. Click here to view the Tapestry archive page. The full interview with Craig can be heard here. You can listen to the piece in the Audio Examples section of this web site. This entry was posted in Composition Performances, Music by Brian C. Moon. Bookmark the permalink.